Treatment plans are tailored individually according to injury type and severity in order to maximize recovery and prevent future incidents. According to the Consensus Statement on Concussion in Sport, children should not return to sports until clinically completely symptom free. (4th International Conference on Concussion in Sport, Zurich, 2012). After evaluation, the therapist will develop a recovery plan that includes a combination of interventions designed to address the specific symptoms and deficiencies resulting from injury. 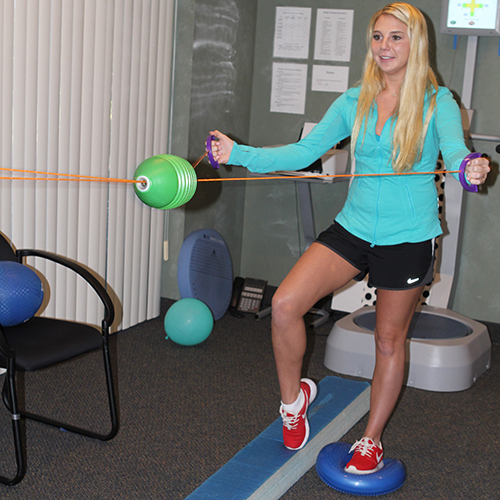 Physical therapy improves coordination, balance, gait, postural compensations, neck stability and strength. Our degreed and licensed Physical Therapists all have advanced experience in vestibular and visual rehabilitation, balance and coordination training, Dynavision and Interactive Metronome, as well as sensory integration techniques, all of which offer accelerated therapeutic benefits. Each patient is evaluated by a doctor in Physical Therapy and receives a customized treatment plan, addressing the wide variety of concussion symptoms and limitations that frequently follow a head injury. Our goal is to get patients back to their previous life, safely and symptom free. Occupational Therapists play an important role in the management and treatment of an individual, following a concussion. Our OT's focus on cognitive re-education, vision testing and training, driving screenings, functional skill development and pain management. With advanced training in sensory integration, functional skills, vestibular processing and visual rehabilitation, they are able to provide treatments aimed at improving the overall functional performance needed to get back to active life. Whether its return to play or return to learn, our OT’s have the training and experience needed for a successful recovery. Vestibular dysfunction can be caused by a wide variety of central and peripheral nervous system challenges which can involve the ears, eyes and brain. The first step to successful vestibular rehab is to correctly identify the source of the problem so that it can be treated appropriately. Disturbance within the vestibular system can cause challenges with balance, coordination and visual motor control, as well as symptoms of dizziness, vertigo, visual disturbance, fuzzy thinking, headache, nausea and vomiting. 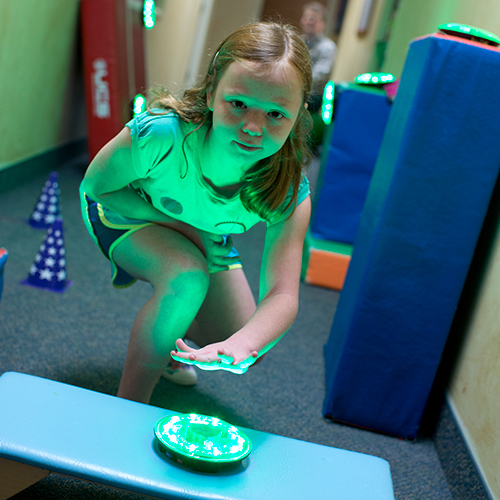 Vestibular rehabilitation involves special treatments and exercises designed to restore the visual and vestibular system’s connection to the brain improving balance, coordination and visual motor endurance, as well as eliminating disturbing symptoms. Techniques to address inner ear dysfunction such as Benign Paroxysmal Positional Vertigo (or BPPV) may also be implemented, often with dramatic results. The Biodex Balance System measures a patient's ability to balance in multiple sensory conditions. 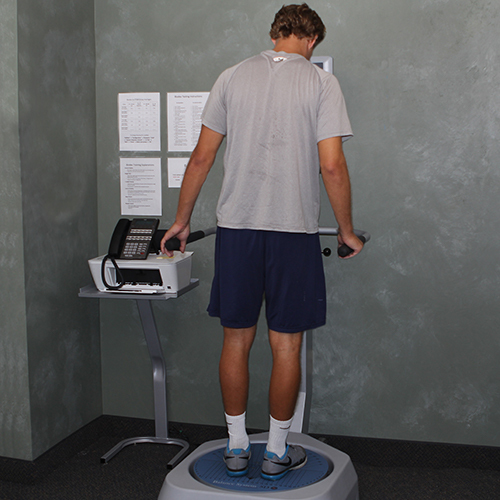 Biodex also serves as a training tool on both a firm and dynamic surface to challenge balance and train the individual to work on their balance strategies. 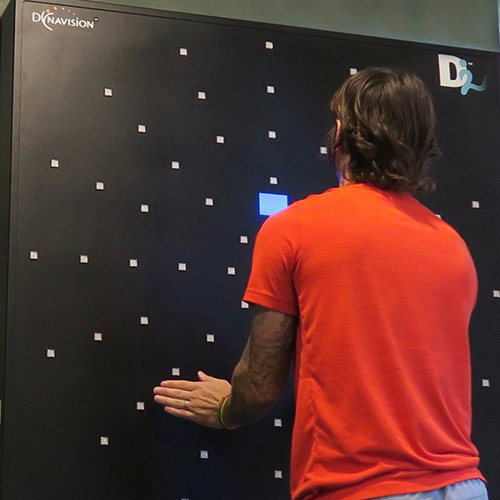 The Dynavision D2 is a training tool that measures an individual's reaction to light to train peripheral awareness, eye-hand coordination and visual reaction time. The individual sees the light, reacts by hitting a button, feels the button when pressed, and hears the beep, training multiple senses in an integrated function (sight, reaction speed, touch and sound). This tool also improves attention, concentration and cognitive functioning skills. The RT1 Reaction Trainer uses light discs to measure and evaluate movement. With each disc placed in a pre-set pattern, it promotes a more explosive, quicker whole-body reaction. Dynalights monitor each reaction for speed, endurance, balance, and strength, then logs it into the system to track individual progress in each drill. This excellent tool is effective with everyone from developing children to professional athletes working hard to get back into the game. 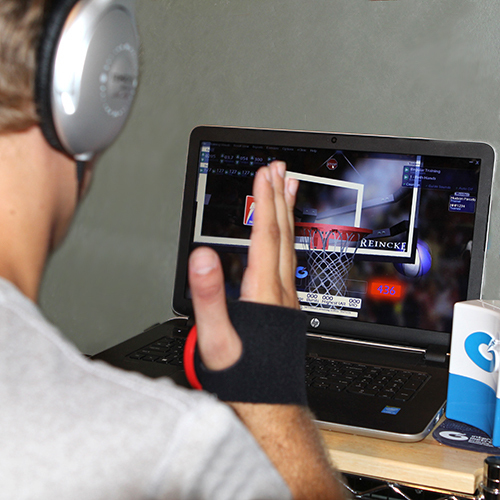 Interactive Metronome is an engaging biofeedback tool that integrates whole body exercise with an audio/visual guidance system that stimulates and integrates the brain. The goal-oriented program encourages patients to match the metronome beat with specific hand and foot exercises, providing real-time feedback in milliseconds. The difference between the response time and the beat is measured and scored. A low score indicates improved timing and overall performance. 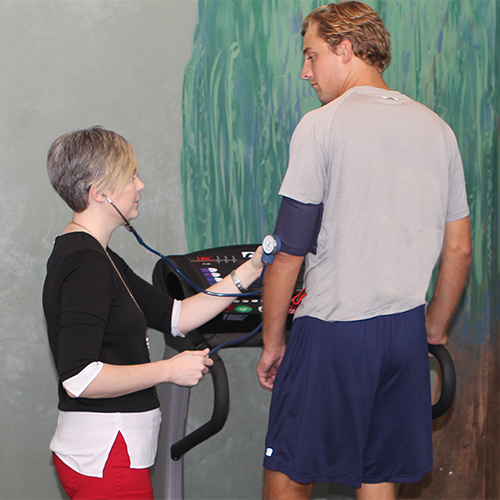 Interactive Metronome Therapy generally starts with 12-15 one-hour sessions, completed over 3 to 5 weeks. All ICT therapists are IM certified.